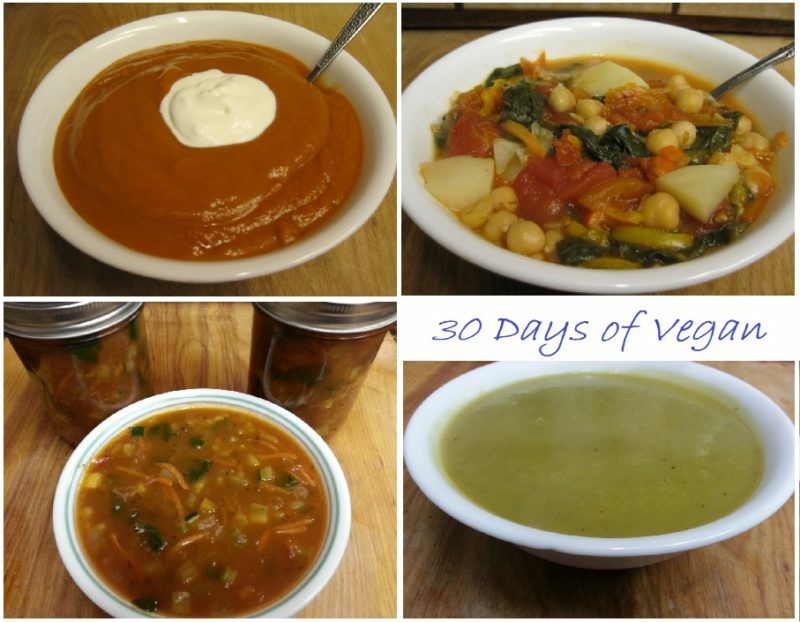 These four vegan soups are not new to Patty Cake’s Pantry. Just as I did for the Vegan Entrees, I looked through my site to see if there were any vegan soups already in my culinary arsenal. 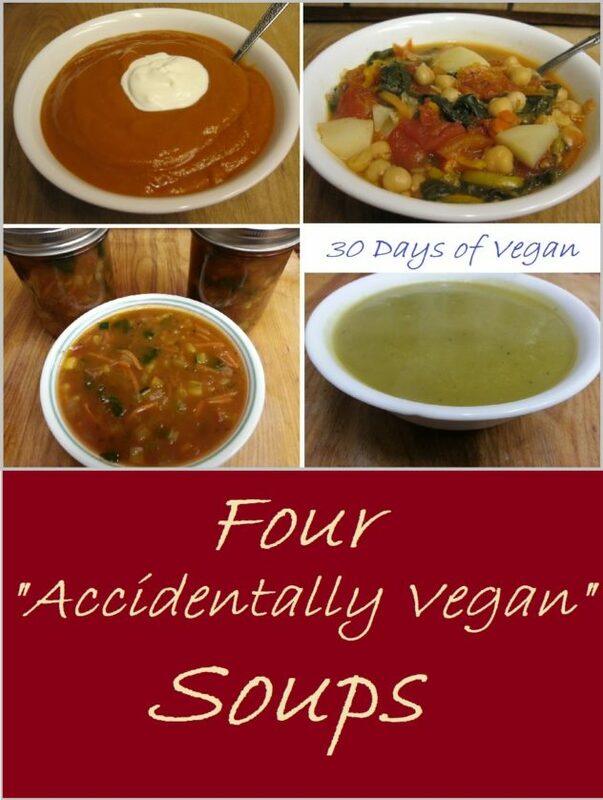 Until this month, I never set out with the intention of writing a vegan recipe, but as I reviewed my recipes, I found that I had accidentally created four soup recipes that were vegan. I was very happy to make this discovery. Soups make a great, and filling lunch. They can be packed in thermoses and sent to school, or they can be reheated at work, if you have access to a microwave. Here are my “accidentally vegan” soup recipes. These recipes are listed in the order they were published on this site. Tomato soup is a classic. This version, which contains lentils, has extra protein to help keep you feeling full longer. The recipe recommends topping with a dollop of creme fraiche, but don’t worry. The post contains a link to instructions for making a cashew creme fraiche to ensure that this recipe remains vegan. 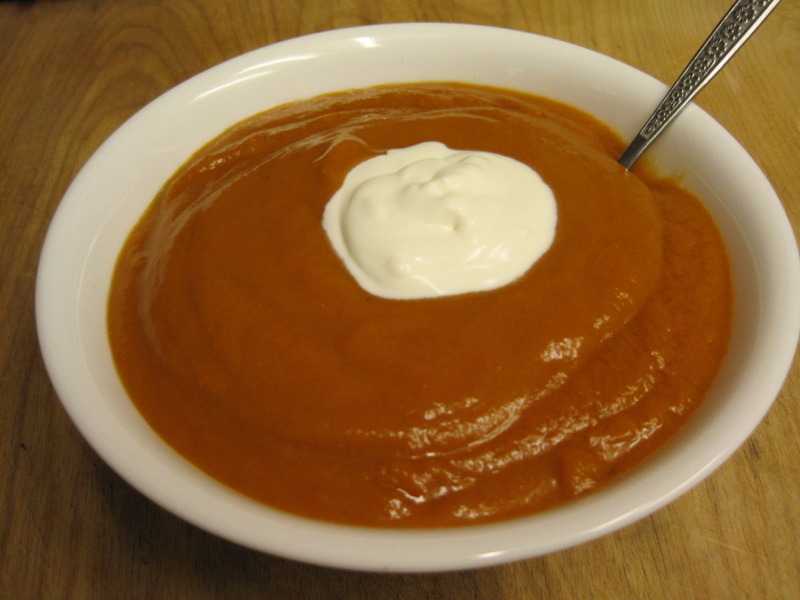 This recipe for Tomato Lentil Soup serves eight for $5.90. This simple, garden vegetable soup recipe was prepared with aquafaba when I published the post, but you can substitute vegetable broth for this if you don’t have any leftover bean broth lying around. 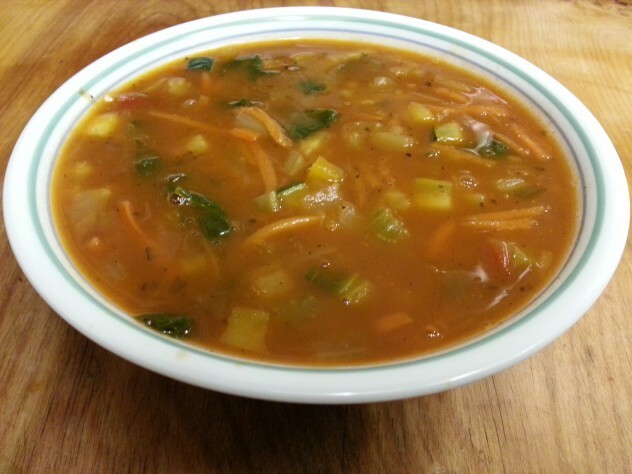 Confession: When I originally published this recipe, the bean broth used to make this soup was from beans cooked with ham, but it tastes delicious made from vegan bean broth, as well as vegetable broth. 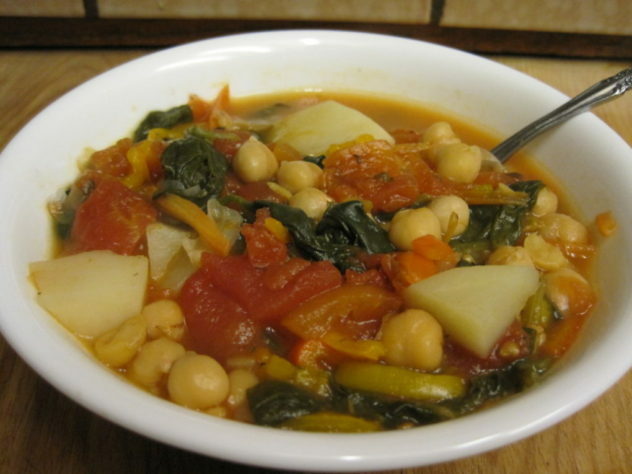 This soup is loaded with nutrients from all of the vegetables, and tastes great. I’ve even stirred in some canned garbanzo beans, on occasion, for some extra protein. This is a filling meal served with a piece of crusty bread for dipping. The total cost of this recipe is $4.30, and it serves four to six people. This Italian Classic is usually prepared with added pasta, but since I have had so many friends who developed gluten intolerance, I decided to substitute potatoes for the usual pasta. The final result is a simple, delicious, and hearty minestrone soup that tastes pairs well with a salad and a piece of crusty bread. 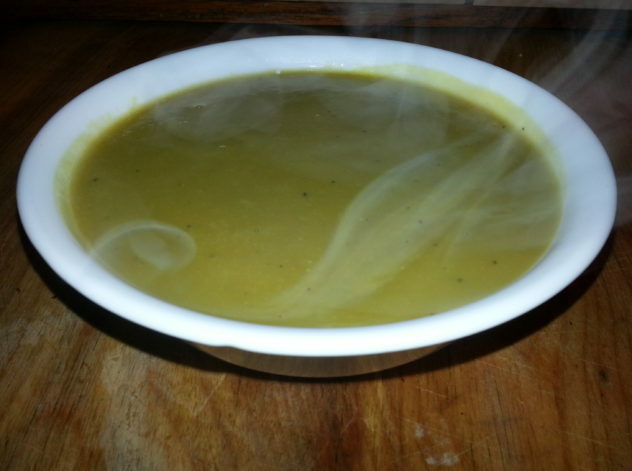 My guilty pleasure it to have this with some delicious garlic bread made with my homemade compound garlic butter made from “vegan butter.” This soup is “Molto Delizioso! It’s also a frugal meal, costing only $5.96 for the entire recipe. You may have noticed that these soups aren’t just vegan, they’re very frugal food, too. The price per serving is between twenty-three cents and $1.08. That means that these soups are a great way to fill your stomach with vegan goodness without emptying your wallet. I think that’s a good thing, don’t you? Which of these soups is your favorite? Let us know by leaving a comment below.